Description : Dieffenbachia are evergreen plants and their leaves are broad and pointed, with various combinations of green and white. They can grow to over a metre and half but Dieffenbachia houseplants do not tend to reach such proportions. Dieffenbachia are originally from the Americas and the West Indies. They typically grow in warmer climates and therefore temperatures of 10 degrees Celsius or below can kill these plants. 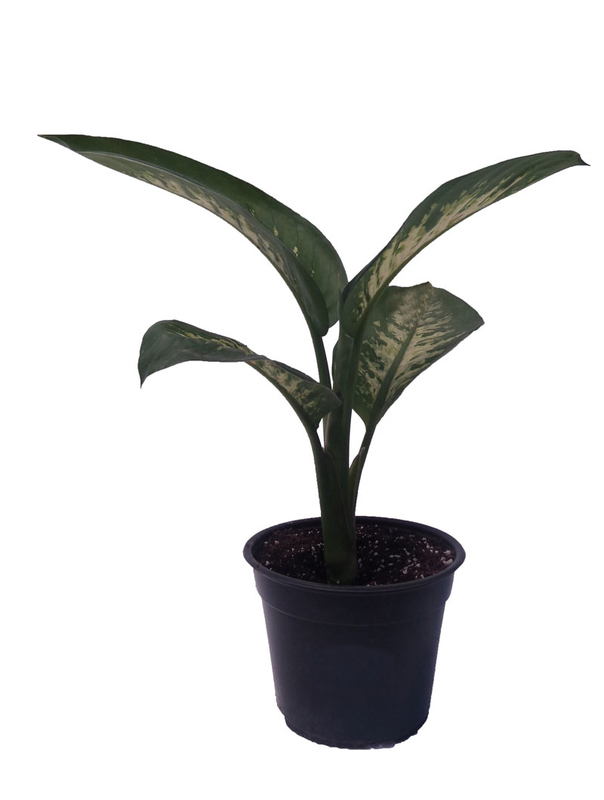 Light is also important for Dieffenbachia particularly during the winter. In summer they prefer indirect light.